19-year-old Kira was diagnosed with a form of epilepsy that triggered seizures every time she listened to or played music. 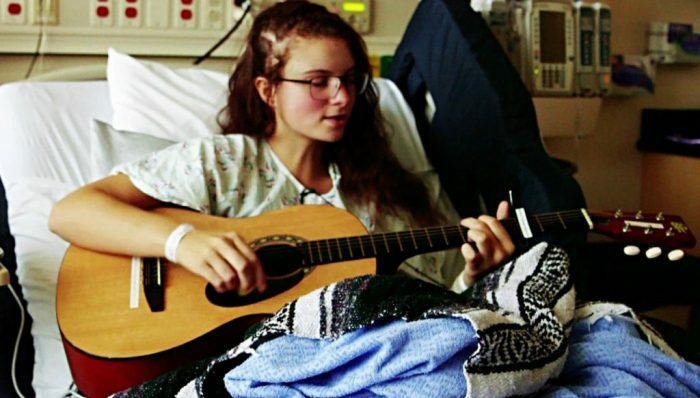 A teenager from Seattle sang her way through brain surgery to preserve her talent. 19-year-old Kira Iaconetti's musical journey was about to take off four years ago when she started having 'glitches'- a form of epilepsy that occurred to her every time she sang or listened to music. “It was like a light switch turned off in my brain. Suddenly, I was tone deaf, I couldn’t process the words in time with the music and I couldn’t sing," she was quoted as saying by Seattle Children's Hospital. At first, Kira scoffed off the 2-minute glitches but once the frequency of her epilepsy increased, she had to see a neurologist. As People reports, the cause of Kira's seizures remained unknown until an MRI scan at Seattle Children’s revealed a calcified tumor that pushed up against her auditory cortex in the right temporal lobe of her brain - the actual cause behind the seizure. “Her tumor was discovered because of a very unusual type of epilepsy she had called musicogenic epilepsy,” said Dr Jason Hauptman, a neurosurgeon at the Seattle Children’s Neurosciences Center. He further added that Kira's seizures were triggered by singing or listening to music, which was unfortunate as the 19-year-old was a budding musician. This is when doctor Hauptman's experience came to use and he devised a plan to carry out an awake craniotomy - a surgery which required him and his team to remove her tumor while she was under an anaesthesia and then wake her to sing. 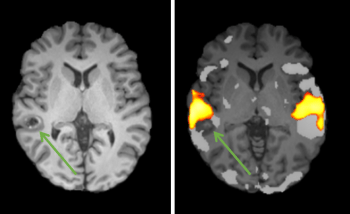 By doing so, Hauptman located the areas in the brain that were activated while she was hitting the notes and steered away from them thus preserving her ability to play and listen to music. As for Kira, she covered Weezer’s 2001 hit, “Island in the Sun,” on the operation bed and is already on her way to recovery. In fact, she was seen playing guitar and singing just 48 hours after her surgery. A video of the operation theatre 'concert' was uploaded by the hospital which showed members of the surgical team joining Kira in her performance.